A study commissioned by the Trades Union Congress (TUC) has revealed that volatility in the pensions market could cause those saving for retirement to lose up to £5,000 in their annual pension payments. The Pensions Policy Institute (PPI) analysed historic investment returns on behalf of the TUC, and found that the size of an individual’s pension pot may vary by up to 40%. As a result, a man who has been in a defined contribution pension scheme for 40 years, who earns a median wage, could earn an annual income of £16,804 if he were to retire in 2017. In 2000, the same worker would have been able to retire on an annual income of £27,871. However, the research showed that, whilst the impact of investment returns on women’s pension savings is similar to that of men’s, women are more likely to be reliant on the state pension. Commenting on the matter, Frances O’Grady, General Secretary of the TUC, said: ‘Someone who has saved all their working life should not have to play roulette with their pension fund. But if their retirement lands on a bad year, market volatility could leave them with a much poorer standard of living for the rest of their life. The government has stated its intention to move public finances into surplus by the mid-2020’s, with the Treasury reaffirming its commitment to reducing the deficit ‘while also investing in our public services’. Data published by the Office for National Statistics (ONS) has revealed that the gender pay gap for full-time employees has ‘fallen to its lowest level’ since records began. According to the latest figures, the gender pay gap for such workers fell from 9.4% in 2016 to 9.1% in 2017. This constitutes the lowest pay gap since records began in 1997, when it stood at 17.4%. However, the gender pay gap for the entire UK workforce currently stands at 18.4%, up from 18.2% in 2016. 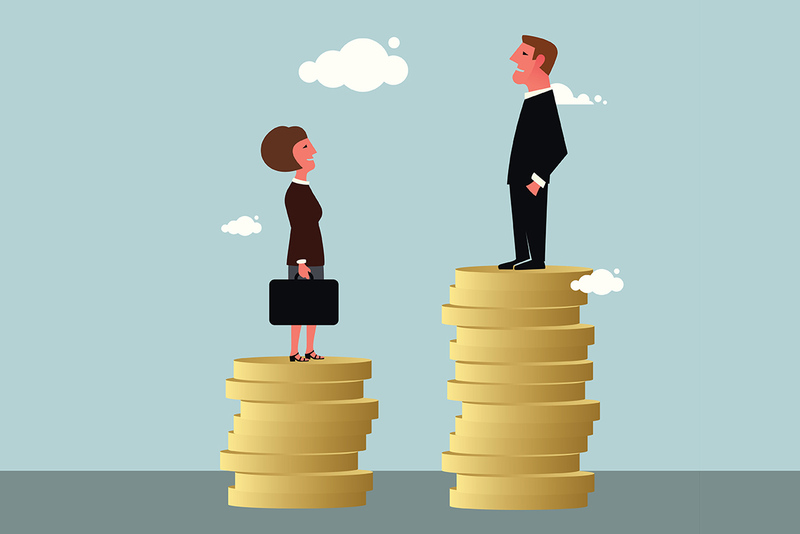 Commenting on the issue, Frances O’Grady, General Secretary of the Trades Union Congress (TUC), said: ‘The full-time gender pay gap has inched a bit smaller. But there is still a chasm between men and women’s earnings. ‘At this rate, it’ll take decades for women to get paid the same as men. From 6 April 2017, businesses with more than 250 employees have been required by law to begin calculating their gender pay gap. Businesses and charities must publish their gender pay gap data on their website by 4 April each year, and public sector organisations must publish their pay gap by 30 March every year. Companies with fewer than 250 employees can opt to publish their gender pay gap data voluntarily, but they are not obliged to do so. Data published by the Office for National Statistics (ONS) has revealed that the UK economy grew at a faster pace than expected in the three months to September – sparking concerns over a potentially imminent rise in interest rates. Gross Domestic Product (GDP) for the three months to September grew by 0.4%, up from 0.3% in the previous quarter – constituting a bigger rise than many economists had anticipated. Experts have stated that the growth in GDP serves as the ‘go ahead’ for an interest rates rise. The Bank of England’s Monetary Policy Committee (MPC) is due to decide whether interest rates will rise when it meets next week. A decision to raise interest rates will mark the first rise in just over a decade. Responding to the news, Suren Thiru, Head of Economics at the British Chambers of Commerce (BCC), commented: ‘With the latest GDP data confirming that the UK economy is still in a challenging period, these figures are likely to weigh on whether the MPC will raise interest rates next month. In a new report, the Public Accounts Committee (PAC) has urged HM Revenue & Customs (HMRC) to take steps to combat online VAT fraud in the UK. In its report, the Committee discovered that sellers based outside of the EU are neglecting to charge VAT, and therefore are able to undercut the prices set by UK businesses ‘by up to 20%’. It found that online VAT fraud committed by overseas sellers is costing UK businesses and taxpayers over £1 billion each year. Within the report, the PAC criticised HMRC for being ‘slow to respond to the growing risk of VAT fraud by online sellers’. 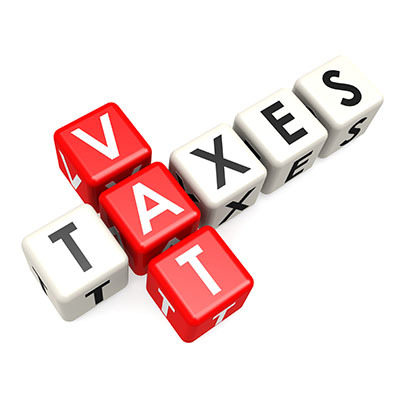 It has outlined a series of steps that HMRC could take to help combat online VAT fraud, including producing an updated estimate on the scale and impact of the online VAT fraud ‘tax gap’, speeding up the introduction of new VAT measures and setting short and long-term targets for reducing the amount of VAT lost through non-compliant sales. Ray Wilkins MBE has presented Mari Durward-Akhurst, , from Amersham in Buckinghamshire, with a cheque for £1,000 on behalf of SportsAid’s Bucks Sporting Lunch Club, which was held on Friday 20 October 2017 at Dorney Lake. Created in 2011, the network is a way for local individuals, businesses and trusts to raise money to help with training, travel or equipment costs for young, talented athletes in Buckinghamshire. Mari’s training seems to be paying off, as she is already a Grade 1 Gold National Champion after competing with her horse Sky O’Hara, in September 2017. She also was second behind a triple Paralympic gold medalist at Hartpury 3* International in July this year and is 19th in the world rankings for her grade. Mari received her award from Ray Wilkins MBE, Sky Sports pundit, former England footballer, and former manager at QPR and Fulham FC, who went on to win the Premiership when assistant manager at Chelsea FC.